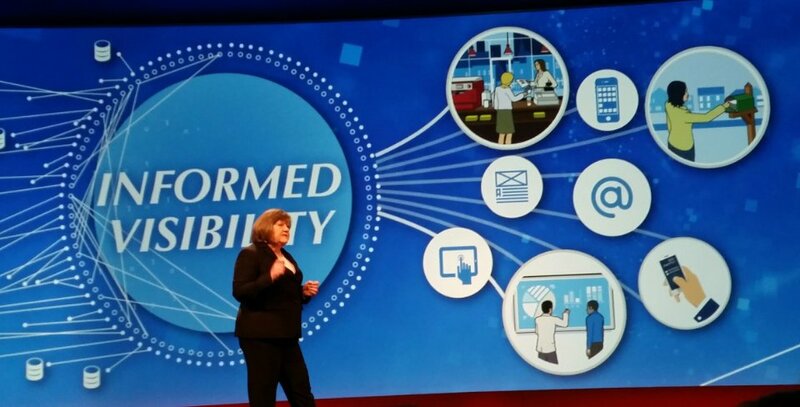 NASHVILLE, TN — Megan J. Brennan, Postmaster General and Chief Executive Officer of the Postal Service, today announced efforts by the Postal Service to lead an information and technology-driven reinvention of mail during a keynote speech at the National Postal Forum—the annual mailing industry trade show. In her address, the Postmaster General identified strategic initiatives and investments to provide the mailing industry with greater digital capabilities. “Our vision is not confined to what we can accomplish in the next year or two. We have to continue to build and focus on the long-term rewards,” said Brennan. STAMFORD, Conn., May 14, 2015 – Pitney Bowes Inc. (NYSE:PBI), a global technology company that provides innovative products and solutions to power commerce, will showcase physical and digital technologies that are changing the world of mailing and shipping, location intelligence and global ecommerce at this year’s National Postal Forum (NPF), May 17-20 at the Anaheim Convention Center in Anaheim, CA. Attendees will also see Pitney Bowes’ new brand strategy and identity in booth 404. WASHINGTON, March 17, 2014 /PRNewswire-USNewswire/ — In a keynote speech at the National Postal Forum–the annual mailing industry trade show–Patrick R. Donahoe, Postmaster General and Chief Executive Officer of the Postal Service, today described a changing attitude of marketers toward the role of direct mail as a means of attracting and retaining customers. Providing perspective on the changing media landscape and the use of new technologies to improve the effectiveness of mail for both senders and receivers, the Postmaster General and other senior postal leaders discussed trends in the use of mail and efforts by the Postal Service to spur growth in the mailing industry. SAN FRANCISCO, March 18, 2013 /PRNewswire-USNewswire/ — Technology and changing consumer expectations are helping to transform mail into an even more powerful communications channel, Postmaster General and CEO Patrick R. Donahoe told the nation’s largest annual gathering of mailing industry leaders today. Simplicity and making it easier to do business with the Postal Service were the themes earlier this week at National Postal Forum, where USPS Executive Leadership Team members addressed a standing-room-only crowd during the Postmaster Generalâ€™s Executive Session. â€œWe want to share some of our strategies with you and better explain some of our key priorities,â€ said PMG Pat Donahoe, who was joined onstage by Chief Operating Officer Megan Brennan, Chief Information Officer Ellis Burgoyne, Chief Sales/Marketing Officer Paul Vogel and DPMG Ron Stroman to discuss USPS initiatives. The first phase of installing 100 flats sequencing system machines will be completed by June and will result in a reduction of almost 1,100 delivery routes, said Brennan. But work remains on improving national critical entry times for First-Class Mail, Periodicals and Standard Mail flats. Continued improvements to Full Service Address Correction Service; increasing tracking for mailpieces, trays and containers; and full tracking of all barcoded packages by October were among the customer improvements announced by Burgoyne. Two new IT programs â€” eDropShip and electronic payment â€” will replace cumbersome paper-based systems for mail acceptance and billing. After reinforcing the Postal Serviceâ€™s commitment to a national advertising campaign that reinforces the value of mail, Vogel said that $10 million in revenues already have been achieved through Every Door Direct Mail â€” a product that simplifies creating and delivering marketing mail. Other customer-focused products being considered include expanding Reply Rides Free to include a free second ounce, and ways to provide free shipping for online purchases, added Vogel. via USPS News Link – May 5, 2011.